Between 1953 and 1957, Warhol was one of the most successful commercial illustrators in New York. Ironically, the commercial work that drew criticism from fellow artists was a catalyst in creating his signature style. Warhol was Madison Avenue’s darling because he could make an everyday object, in this case shoes, an object of desire. 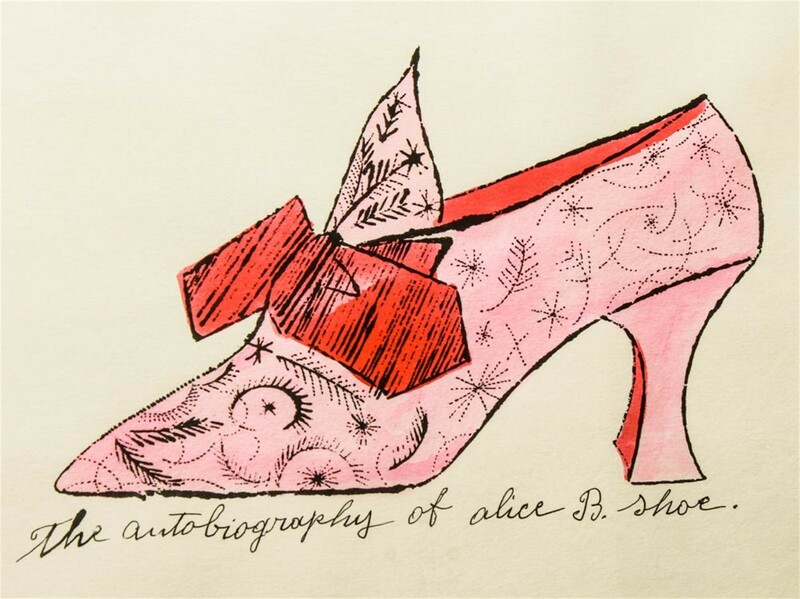 Between 1955 – 1957, he was the sole illustrator for shoe manufacturer I. Miller and made new drawings of shoes each week for ads in the New York Times. To keep up with deman, he created lithographs of outlines of several different style of shoes, then hand colored them at his kitchen table at night, often during coloring parties with his friends. In typical Warhol fashion, the witty accompanying text (frequently written by his mother) often referenced the works of cultural icons and popular culture. 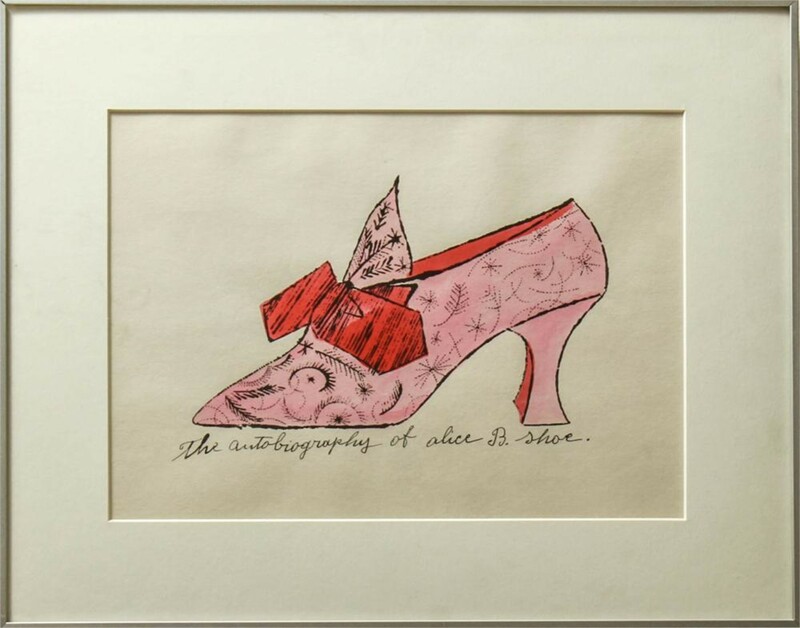 In this case, our shoe references famed art patron and friend of Picasso, Gertrude Stein's book, "The Autobiography of Alice B. Toklas". Provenance: From the Estate of fashion executive Margot Rogoff.